White Polyethylene Foam is also available for the same cost! Ask us today! Attached to 1/8” thick plywood that will be painted black to match the foam. Able to mix and match the different styles in the pack. 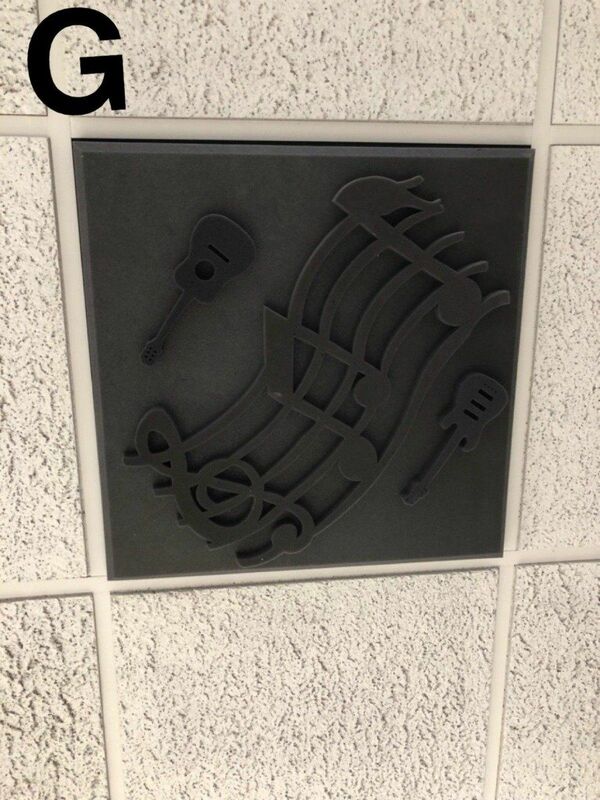 Our acoustic ceiling tiles are designed to trap and deflect sound energy. They are made of open cell, flame retardant polyester foam. 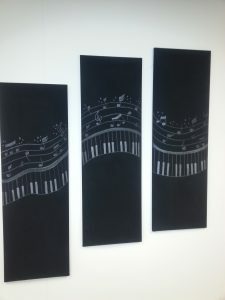 The design is very pleasing to the eye and offers outstanding sound absorption qualities. 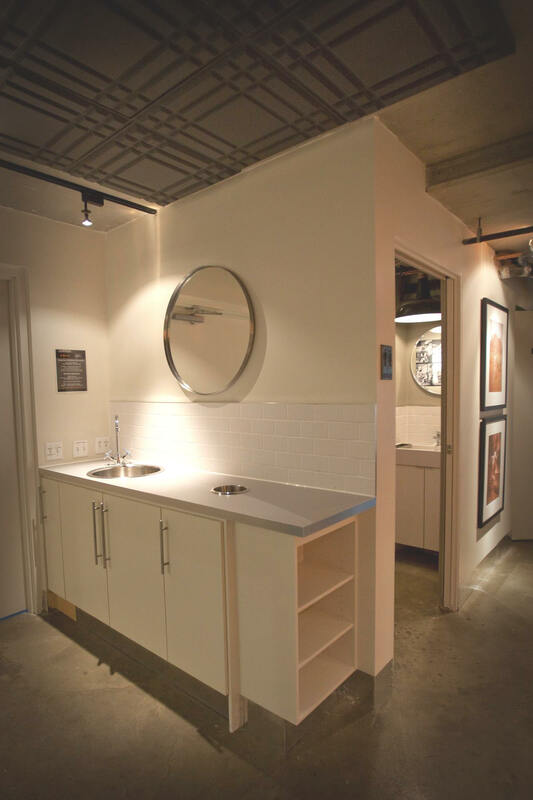 Our practical 24″ x 24″ tile size makes installation a snap in any room. 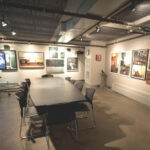 We offer the perfect solution for rehearsals, radio stations, and more. Install tiles easily with spray adhesive, double-sided tape, contact cement, or glue/caulk. 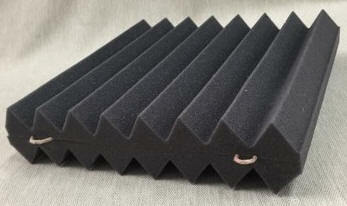 Ask about our upholstered sound control wall panels too! 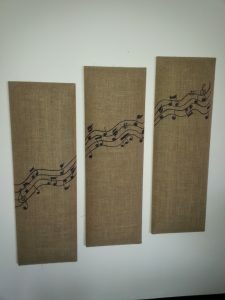 These designs are very pleasing to the eye and offer outstanding sound absorption qualities. 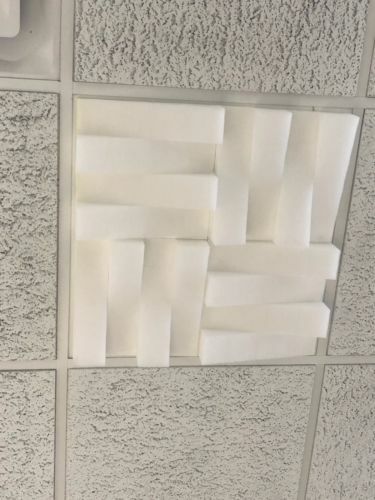 Matrix Style Ceiling Tiles – flame retardant polyester foam. 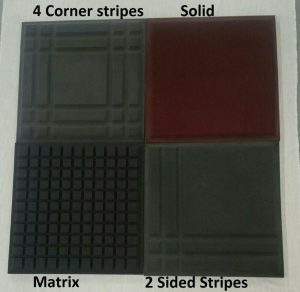 Deep Matrix Style Ceiling Tiles – flame retardant polyester foam. 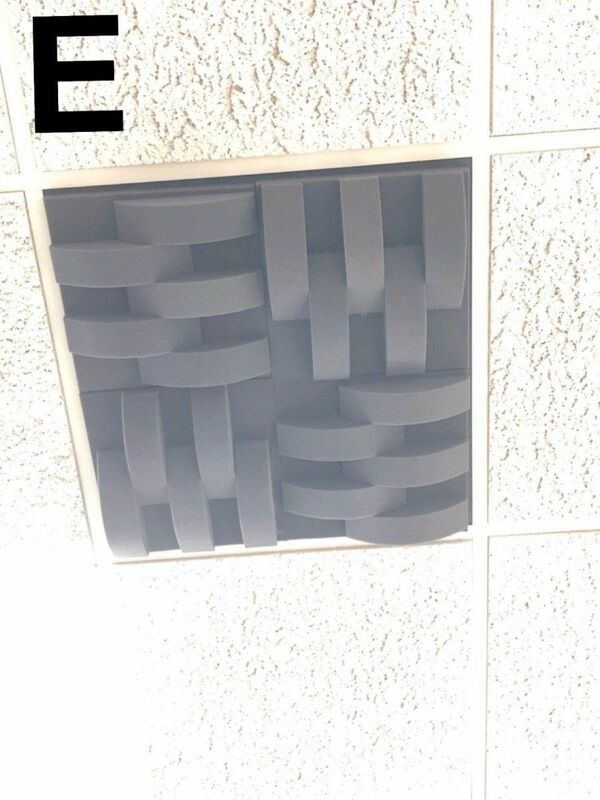 Classic 2 Sided Stripes Ceiling Tiles – flame retardant polyester foam. 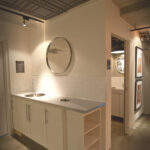 Stylish 4 Corner stripes Ceiling Tiles – flame retardant polyester foam. Stylish Solid Ceiling Tiles – flame retardant polyester foam. 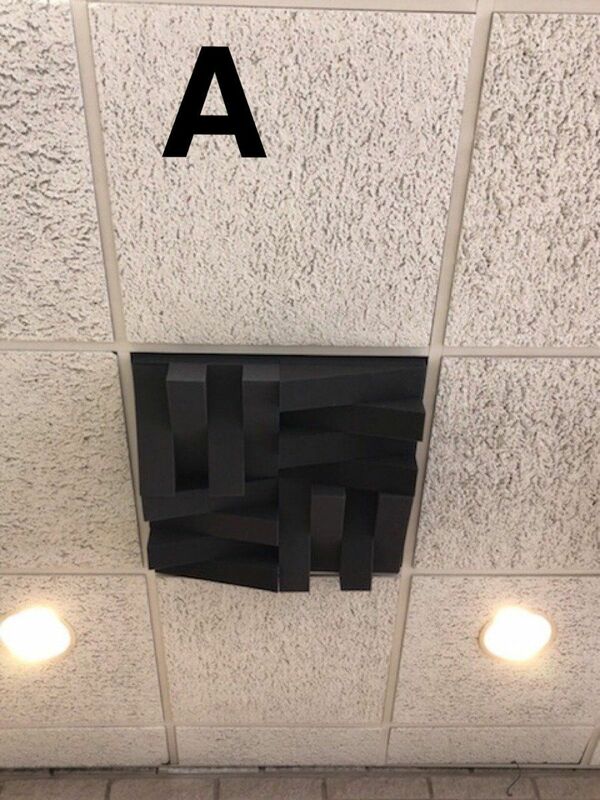 These particular tiles are designed to hang from ceilings in open spaces to reduce reverberation and prevent noise build up that interferes with speech intelligibility. Available in any size panel and any thickness. 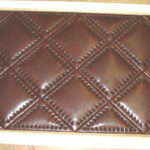 Ask about upholstered wall panels. 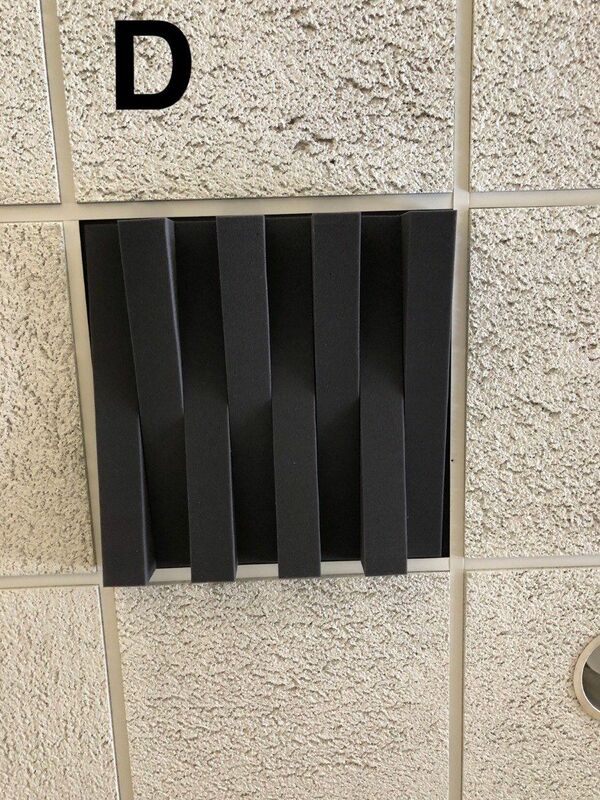 Baffles are designed for vertical suspension above any noise source. 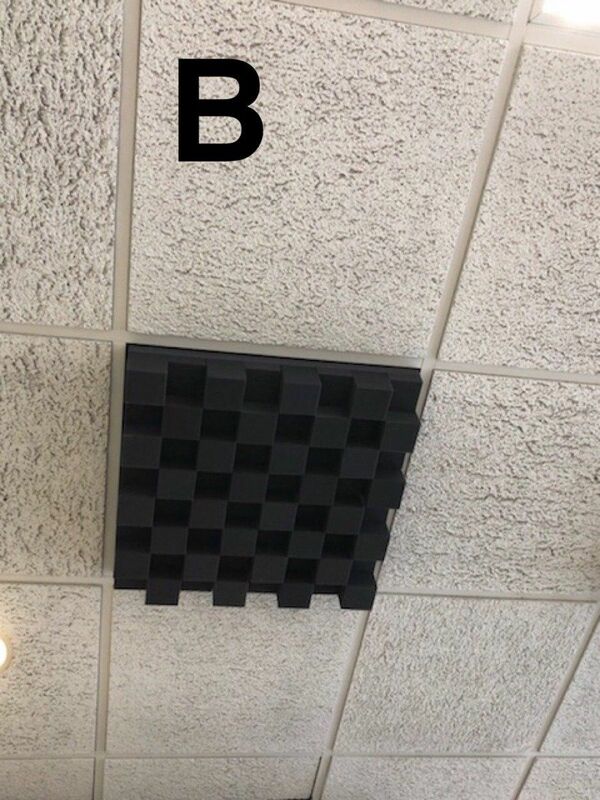 Polyurethane foam baffles are suspended vertically with corner eyelets. By hovering them in rows and columns this will absorb unwanted echoing. 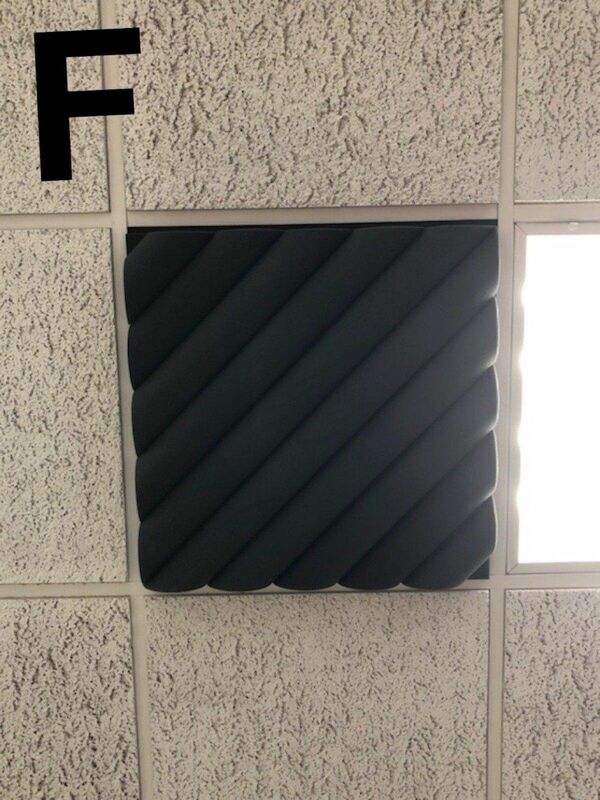 Use our open cell polyurethane acoustic foam, at the 3″ total thickness, with convoluted foam on both sides (1-1/2″ thick each side) for maximum absorption of noise energy. Lined on the inside of the material is a nylon rope structure with eyelets protruding from the two corners designed for free vertical hanging above the noise source. 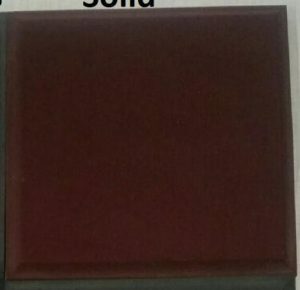 Drop Ceiling Tile Panels also come in color. The price is an additional 15%. Disclaimer: We do not encourage anyone to do flammability tests themselves. We don’t want anyone getting hurt. 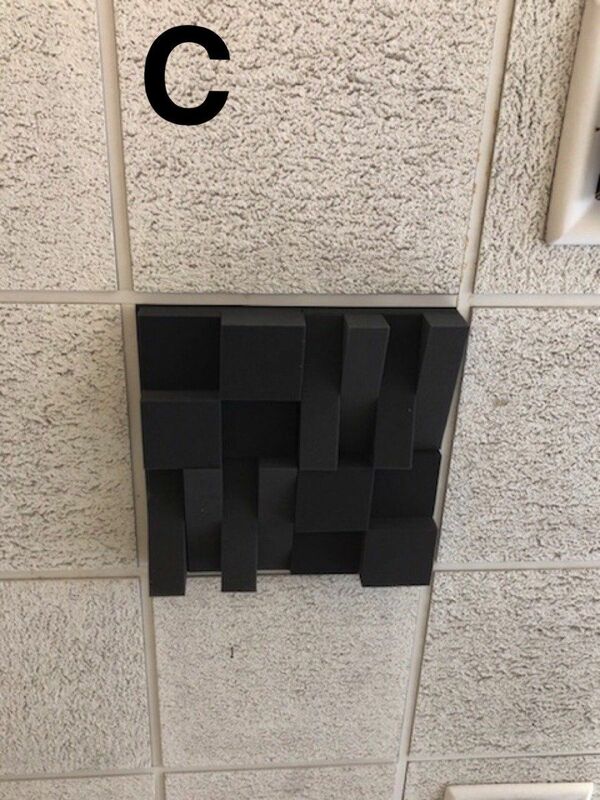 Also, please check your building codes before installing our acoustic foam. Different building codes apply to different locations.